What to wear? 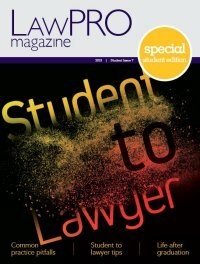 One oft-asked question is whether a lawyer should wear a suit or gown (or “robe”). This depends on the kind of hearing and level of court. While small claims court hearings typically require a suit, a hearing at the Superior Court often calls for gowning. No matter the hearing, take care to present yourself professionally – it is helpful to be well-groomed, clothes tucked in, etc. If you are pregnant, local court rules typically allow you to make modifications to the gown. Where to stand? 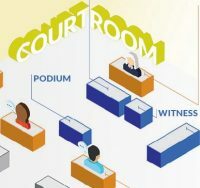 Typically, the counsel table is only for counsel, but agents and articling students may be able to sit there, and, when called to speak, may speak either at the podium or counsel table. Those who expect to be called later in the day may wish to sit in the gallery. Remember that the judge can see everyone in the courtroom from the raised bench – when a hearing is ongoing refrain from talking on cell phones and bantering with colleagues and friends. Maintain decorum: When you are speaking in front of the judge, stand up to make your submissions. Speak louder than you typically would in a conversation – your voice should carry all the way to the judge’s bench. Typically, submissions are done one at a time – do not interrupt anyone that is already speaking, and sit down when it is not your turn. It is not appropriate to make faces and noises while opposing counsel makes submissions. Such incivility can reflect poorly on you and your client. Typical phrases: Some terms of art carry the traditions of court. “Your Honour” is always used to address the judge. “My friend” is often used to refer to opposing counsel – that said, it is acceptable to refer to the opposing counsel by title name, such as “Ms. Smith”. Consider advising your client about such terminology, as your client may be wondering why you are referring to opposing counsel as a friend. It can also be helpful to refer to the actions of the opposing party instead of opposing counsel, as, after all, it is the actions of the parties that can determine the matters at issue. Claims prevention tips: A court attendance usually involves an important step in the proceedings. It is helpful to obtain instructions from the client and document them in an email, letter, or internal note to the file. Explain the possible outcomes, and with each outcome discuss timelines, risks, legal consequences, costs, and costs consequences. 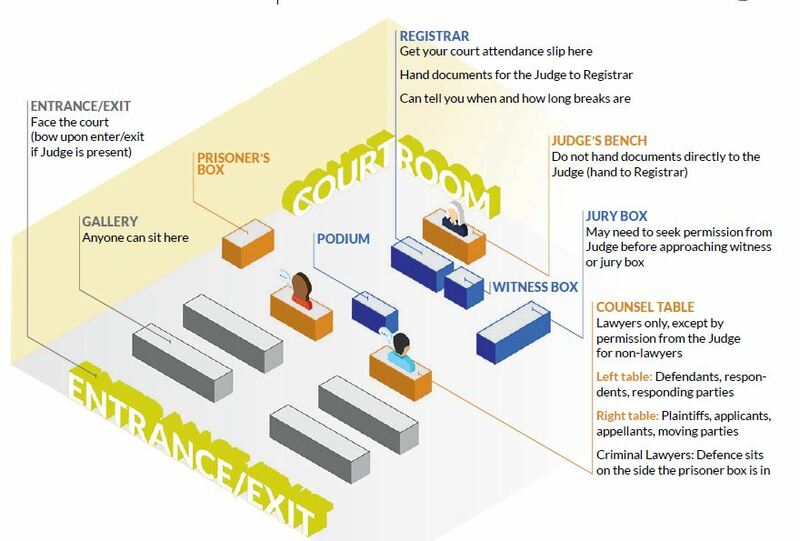 The guide contains these tips and more to help you navigate court for the first time. Observe the proceedings and embrace the opportunity!